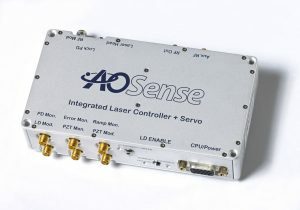 External Cavity Diode Lasers (ECDLs) - AOSense, Inc. 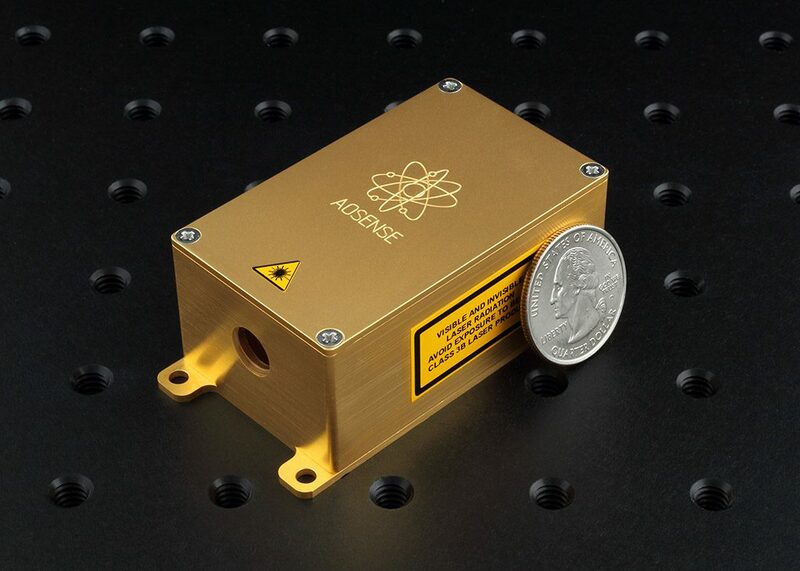 Real-world atomic sensors and other exacting applications require laser sources with specific size, environmental, and optical characteristics, placing unique constraints that most commercial laser systems do not meet. 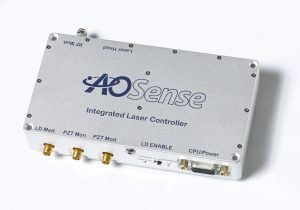 AOSense has developed a line of external cavity diode lasers (ECDLs) designed to meet these needs, offering narrow linewidth in a compact package. Our AOSense ECDL is built on a semi-monolithic bench with a cat’s-eye design for stable operation in demanding environments. The wavelength is factory-set to the desired user wavelength; no subsequent mechanical adjustment is required. A PZT may be used for ~GHz tuning in addition to current and temperature controls. Current wavelengths include alkali (767 nm, 780 nm, 852 nm) and alkaline earth (423 nm, 461 nm, 657 nm, 689 nm, 698 nm) transitions. Additional UV/blue models at 369 and 399 nm are currently in development. The flexible design is fully translatable to additional wavelengths. The output beam is circularized to optimize fiber coupling (not available for all wavelengths). The compact laser enclosure dimensions are only 3″x1.5″x1.1″. The plot above shows a heterodyne beatnote between two free running lasers at 780 nm. 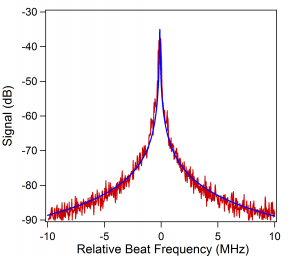 Measurement of the -20 dB width indicates an instantaneous linewidth <30 kHz FWHM. 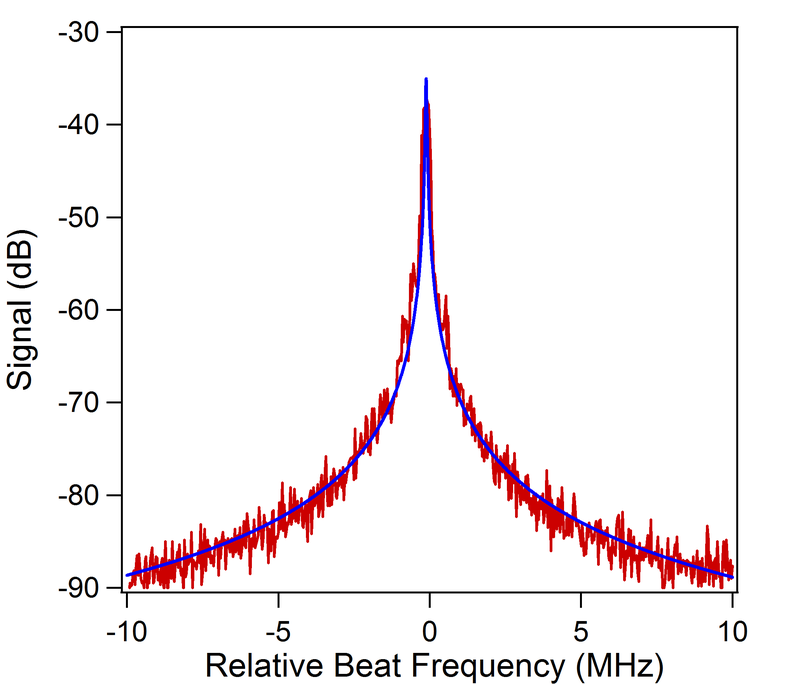 Linewidth is wavelength dependent and ranges from 30-300 kHz. Injection locking configurations are also available. Please visit our Integrated Laser Controller (ILC) page to learn about our easy and high performance hardware and software solution to control laser current, PZT, and temperature. Our SILC has all the functionality of the ILC, plus makes it easy to lock the laser to an atomic line or reference cavity. Please contact us for a quotation or more information about our ECDLs and controllers.